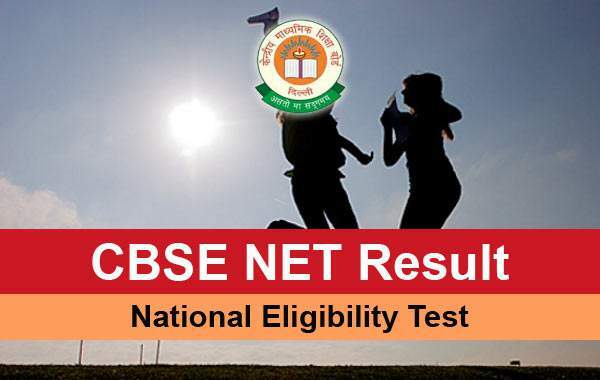 CBSE UGC NET Result 2016 www.cbseresults.nic.in www.cbsenet.nic.in: The Central Board of Secondary Eduction (CBSE) has declared the results of National Eligibility Test (NET) examination held in July 2016. All the interested and eligible candidates appeared for the same. The test conducted at various centers across India. Right after writing the exam, the appeared candidates started to worry about their results. The wait for the result declaration date increased. The aspirants were waiting eagerly until today. Their wait is over as CBSE has announced the results of UGC NET online on its official website. The University Grants Commission (UGC) was established by the Indian government in the year 1956. Since then, it is responsible for coordinating, determination, and maintenance of standards of higher education. Headquartered in New Delhi, it has six regional centers across India. Check: IBPS RRB Office Assistant Results 2016. UGC and CSIR both co-conducts the NET examination twice a year. It is done to appoint teachers in colleges and universities across the nation. Teaching at graduate level requires a candidate to be NET qualified. It is mandatory for teaching at both graduation and post-graduation level since July 2009. Thus, keeping all the process in mind, the organizing body invites application with enough time frame for conducting the exam. Aspirants of Assistant Professor / Lecturer and Junior Research Fellowships (JRF) in the universities and colleges of India can apply for it. Below are the steps to check CBSE UGC NET Result 2016 July online. On the homepage, look for the link stating UGC NET Results. Enter the asked details like roll number and DOB, etc. The next window will appear with the results of it. Save and take a print out of the same for future use. The cut-off marks for CBSE NET 2016 will be available soon for Paper 1, Paper 2, and Paper 3 after the results. The qualified candidates will proceed for further rounds of the recruitment process.